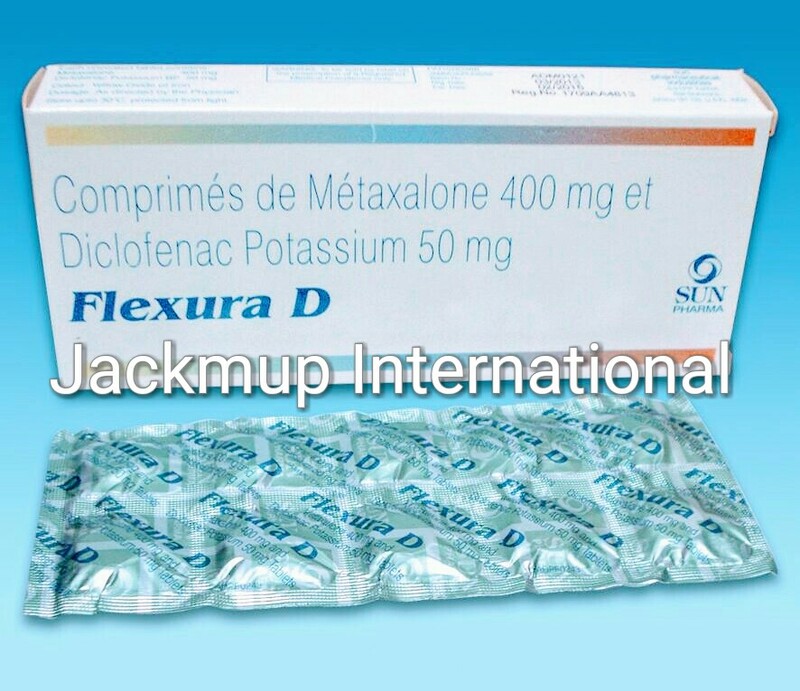 Description:- "Diclofenac is used in fever, headache, arthralgia, myalgia, dental pain, post operative pain, pain during menstruation, osteoarthritis, rheumatoid arthritis, ankylosing spondylitis.It is a non-steroidal anti-inflammatory drug (NSAID). It works by blocking the release of certain chemical messengers that cause fever, pain and inflammation (redness and swelling). Metaxalone is used for muscle relaxation.It works by acting on the centers in the brain and spinal cord to relieve the muscle stiffness or spasm. "